Training your puppy with me is simple and enjoyable both for you and your dog. I use reward based methods only, which are kind, effective and supported by animal learning theory and research. The classes are held indoors on Wednesday, Thursday and Friday evenings. We are based in Pilton, Edinburgh (EH5). Level 1 Puppy Classes - Best Start in Life is a 7 weeks course designed for young puppies (from the day of their first vaccination to 16 weeks of age) to give them the best possible start in life and a good foundation for future training. It helps the owners to understand their new family members better, to build trust and lines of communication that will benefit both parties for the rest of your dog’s life. 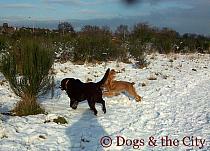 There are plenty of supervised off lead interactions between the puppies, but also play time with the owners. The main focus of the course is appropriate socialisation and building the puppies’ confidence, but also teaching them how to be polite and patient, so they know how to fit in well into our lives and the society. Puppies will learn how to calmly accept all types of handling (without biting or jumping) from both the owners and strangers and the owners will learn how to touch and brush their dogs appropriately. There will be carefully prepared enrichment areas with all sorts of equipment the puppies can explore (owners are welcome to bring to the class anything that their puppies are frightened of, like hair dryers, hoovers etc or want to play with – mops, brushes – we will work on the issues together) to ensure plenty of mental stimulation and bonding time with their human companions. Puppies will learn the basic life skills, like responding to their name, coming back when called, walking on a loose lead, willingly giving up picked up objects and settling down in exciting situations, running to their beds on cue and two basic positions – sit and down (all of it with a bit of a duration). The owners will be taught the basics of canine body language and communication techniques and puppies will learn their first few words in English ;) The first class, during which we are going to cover all the basic behaviour issues most new puppy owners encounter like mouthing, toilet training, crate training, jumping, being left alone etc as well as appropriate equipment and technical skills needed for successful dog training, is for the owners only (no puppies), so people can better focus on the conversation and practice their skills without the easily confused puppies 😉 All the remaining 6 meetings will be practical sessions with the puppies where we will combine training with play. After each class an e-mail will be sent to all participants with the description of the exercises introduced during the class and additional information on raising a puppy, canine communication, dog training, responsible ownership etc. The maximum number of puppies in a group = 7. 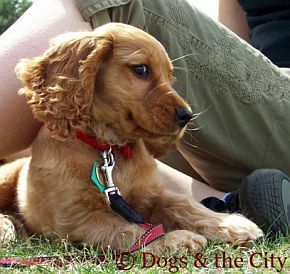 Level 2 Puppy Classes - The Kennel Club Puppy Foundation Assessment are prepared for puppies between 4 and 7 months old. It is an 8 weeks course during which the puppies and their humans will practice and perfect all the skills they learnt together during the introductory course (Best Start in Life), but also master many new skills. This course includes the Good Citizen Dog Scheme. Puppy Foundation Assessment and all the participants who attend the classes regularly and can perform the required exercises will be awarded with The Puppy Foundation Certificate from The Kennel Club at the end of the course. During the course, as well as perfecting puppy recall (using toys and food game) and loose lead walking (with added distractions). Ppuppies will learn how to respond to sit and down commands either on verbal or visual cue alone (after we change the lures into hand signals) and they will learn the third position – stand. The program also includes exercises like stay (in both sit and down), Leave (not taking things held by people and not picking stuff up from the floor on cue), This Way (changing direction and following the owner both on and off the lead), Food Manners (waiting politely during feeding times and not stealing food that’s lying around the house), running to bed on cue and staying there in the presence of distractions, watch (getting eye contact on cue and attention from your puppy when there are exciting things in the environment). We will practice calming down the puppy on cue and accepting gentle petting in polite fashion (polite greeting). We will work on impulse control and dog-owner cooperation in an exciting environment. You will learn how to safely clean your dog’s ears, trim his nails, check his eyes and teeth. We will continue the socialisation program and the supervised off lead interactions between puppies adding some control and off lead training into the interactions. 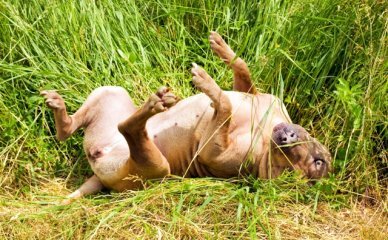 The owners will learn how to use toys and play in training and the meaning of life rewards (the key to having a well-behaved dog that is not dependant on food treats). Level 3 Puppy Classes - The Kennel Club Good Citizen Dog Scheme, Bronze Level - During this course we will continue your puppy’s education preparing him/her for The Kennel Club Good Citizen Dog Scheme Bronze Level Assessment that will take place during the last class. It is an 8 weeks course for dogs of minimum 7 months of age. Great emphasis is placed on preparing the dog to cope in social situations where interactions between people and other dogs are not suitable, and the dogs attention must focus on the owner (like having a conversation with someone met on the streets). Further impulse control exercises are introduced like polite greeting (so important for young dogs! 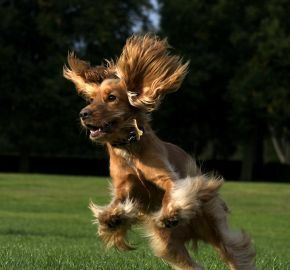 ), the level of difficulty is raised with previously introduced exercises (stay with distractions, performing well known cues in the presence of food and toys lying on the floor, walking on the loose lead around food, toys, people and other dogs, staying on the bed in exciting environment etc), new exercises are being taught (like walking backwards on cue and giving space, changing positions from a distance, using only verbal or visual cues and more) and of course the socialisation continues. My approach is very dog-centred — teaching dogs how to behave and fit into human lifestyles is as important for me as teaching people how to understand and respect their dogs. In short: how to live a harmonious life together. As a trainer I am abided by The Guild of Dog Trainers Values and the Association of Pet Dog Trainers and The Institute of Modern Dog Training code of ethics. Please note that places are strictly limited to 7 (Best Start in Life and Level 1) and 6 (Level 2) puppies and are allocated on 'first come first served' basis. I am looking forward to meeting you and your puppy! For more information and dates of upcoming courses please refer to the News section of the website. The sessions are held in your house and garden, and your local area (if needed we can go for a walk on the lead around your neighbourhood, off lead to your local park or to a café or a pub). We can meet regularly or have just one private session if that’s what is required. Please click here to check the prices of individual sessions.